At Karz Plus, we want you to know how to pick a great used Chevrolet in San Diego. Chevrolet vehicles are well known for being good quality and reliable vehicles. From the smallest sub-compacts to the largest heavy-duty pickups, you can’t go wrong when you choose a well cared for example from the range. Being known for being hardworking and durable, Chevrolet vehicles are trusted for their capability. When you decide on a model that suits your needs, take a close look to ensure that the previous owner has taken good care of it. Check inside the cargo space to see if it has obvious wear on the trim from being loaded roughly. The interior should reflect the age and number of miles that the car has traveled. A low mileage vehicle with heavily worn trim is a red flag that you shouldn’t ignore. A look at the vehicle maintenance book will let you see if the vehicle has been maintained to the manufacturer guidelines. Choosing a vehicle with a complete history of timely oil changes and replaced consumables will improve your chances of trouble free motoring. A vehicle that has had routine oil changes neglected or deferred will be at higher risk of major engine issues in time. Take a look at the vehicle from a distance. A vehicle that has uniform panel gaps, a straight roofline and matching color indicates that any repairs have been undertaken carefully. Looking closer at the underbody, sills and trunk floor will allow you to check for signs of corrosion that indicate that the vehicle hasn’t had the best of care. 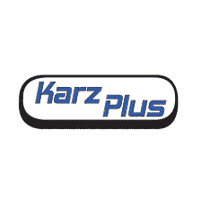 At Karz Plus, our stocked Chevrolet vehicles have been carefully chosen for quality and condition. Find the one for you today.